BANGI, 16 Oct 2012 – The Orang Asli and Peribumi communities should be consulted before anything is done that might result in far-reaching changes to their forest habitats. 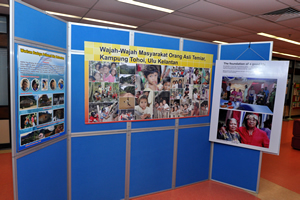 Principal Fellow at the Institute for Environment and Development (LESTARI) of The National University of Malaysia (UKM), Professor Emeritus Dato’ Dr Hood Salleh said the Orang Asli communities in Peninsular Malaysia who were resettled to make way for schemes that did not benefit them felt sidelined. He said contrary to popular belief the aboriginal people in the peninsular do not like to shift homes constantly. It was not part of their custom but were compelled to do so for various reasons. They are also worried about their traditional livelihood as modern industries seek intellectual property rights over natural resources from the forests where they live. Giving the Tun Seri Lanang lecture organised by UKM’s Tun Seri Lanang library today, Prof Hood said similar situations occur in Sabah and Sarawak though his field of research was mostly in Peninsular Malaysia. 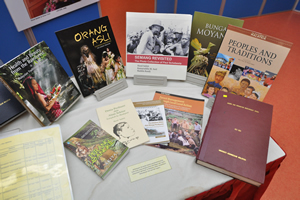 Prof Hood found many Malaysians, especially Malays, still held an ambivalent view of the Orang Asli. On one hand, they were seen as backward and dull but yet the Malays feared them for their alleged supernatural powers and contacts with malevolent spirits. He said some Orang Asli communities feel that they were forced into accepting major changes and become offended because they were seen as less intelligent. This raises suspicions among them whenever they come across offers of development from outsiders. Even major projects that were done in a transparent manner and approved by state and federal governments became issues in the past. 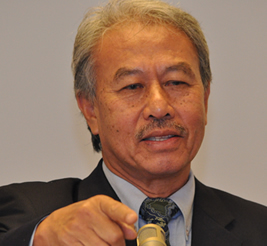 He cited the example of the construction and expansion of UKM in the 1970s which resulted in profound changes to the Orang Asli communities in Bangi and the Hulu Langat district. In 1974 the Resettlement Act 134 was passed to make their resettlement compulsory for the good of the university. The Orang Asli there were not consulted properly on such a move but they nonetheless agreed reluctantly. Despite the compensations and replacement housing, they still missed the original environment which they depended on. Prof Hood also gave the example of the recent projects in the Tasik Chini area of Pahang which marginalised the Jakun communities due to the mining for manganese, which is used in making rechargeable batteries, allegedly with the blessing of a local VIP. There had also been intrusions in the wetland areas there which are reserved for the Orang Asli, who began moving out when their livelihood was threatened. They mainly depended on fishing but their catch had declined due to the intrusions and mining. At the lecture, Prof Hood invited a Tasik Chini resident Puan Norhayati Abdullah, 47, who spoke about the concerns of her community. Puan Norhayati is an entrepreneur who sells traditional Jakun products. She complained about recent efforts by pharmaceutical companies who wanted to obtain copyright over natural products obtained from the forests in the area. She said the ingredients from the natural resources have been used by the Jakun people for generations but now outsiders may make it difficult for them to safeguard their customs. The single mother of five lamented that if she and the others are compelled to share their secret ingredients and the products become intellectual copyright, they may lose all rights to the ownership of the traditional remedies. That might mean she would have to share the knowledge with outsiders. 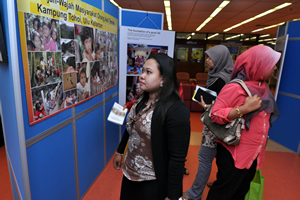 Prof Hood added that several research projects done by UKM and other research universities had yielded results that showed many Orang Asli communities were still left out of the mainstream of development, which the government had denied. At present, he is working on a long-term project from 2010 till 2015 involving several other research universities and Monash University of Australia, to study the DNA of the aboriginal peoples of Peninsular Malaysia.